On the island of Rügen we have hosted an international television crew Fishing and Hunting. Together with Salmo and our friends Piotr Piskorski and Marcin Popowicz, we’re shooting a film about catching big pike on Rügen. On the first day of filming weather was not very pleasant - very strong wind was blowing, and a lot of rain. But it did not stop us in the task, catching big pike for the movie. 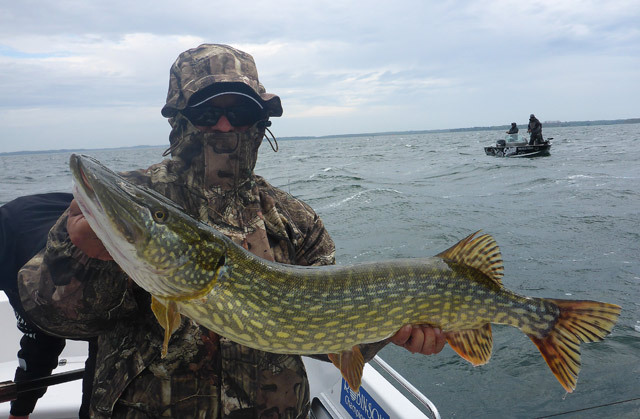 Of course, catching big pike with Salmo company, we fish for them only using lures of Salmo company. The biggest pike on the first day was - 102 and 109 cm. 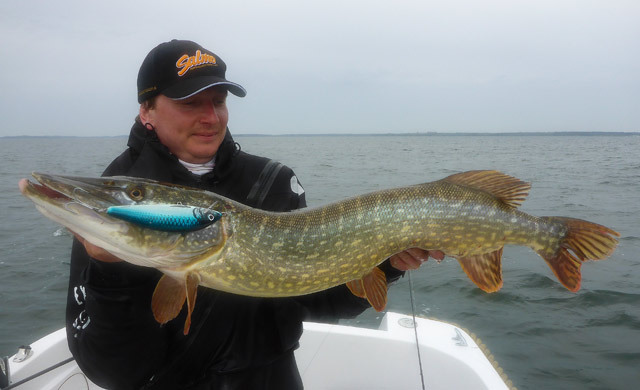 The most effective lure was Salmo Warrior Crank 15 S in a new, specially prepared for pike color of Rügen. Below are some photos from the film.